If you’re looking to add an audio system to your vehicle, install a car GPS, or even protect your home with a security system, Capital Customs is the name to know. Serving Albany, Clifton Park, Schenectady, and the nearby areas, our team is here to ensure you get the first-rate service you deserve. Our greatest joy is to see satisfied customers leaving with smiles on their faces after we’ve installed a car audio system, mobile video system, or other car accessories. Capital Customs is truly where passion and creativity meet to provide you with top-of-the-line car audio systems and so much more. So, if you’re looking for cutting-edge technology and state-of-the-art installs, there’s no better place in Albany for you to turn! At Capital Customs, we’re deeply proud of the fact that we’re able to offer our customers truly superior audio installation. No matter what kind of system you’re thinking about adding to your vehicle, you can rest assured that our team will tackle the challenge and provide you with first-rate installation. If you can dream it, our car audio installation pros can bring it to life! Experts in Custom Audio for Motorcycles, Too! Our expertise doesn’t just end with car audio. In fact, we’re experts when it comes to motorcycle audio, as well, and we deliver flawless installation for motorcycle audio systems. To keep up with customer needs and provide truly show-stopping styles and integrations, we attend Bike Week in Daytona Beach, FL, every year. This way, we’re always on top of the latest and greatest trends and are able to bring them back to our riders in the Albany area. If you’re looking for a car audio and mobile video installation professional that will go above and beyond your expectations, you can end your search now. Capital Customs is ready to take on any audio installation challenge and provide you with a beautifully integrated finished product. 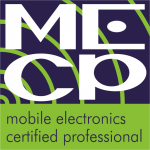 Not only are our technicians fully licensed, bonded, and insured for your peace of mind, they’re also committed to staying up to date on all of the latest certifications through continuing education opportunities. Call us today to learn more about our services and become one of our many satisfied customers! "I've long wanted to upgrade the head unit in my ~9 year old car, but didn't want to compromise the factory 'premium' audio sound that I liked a lot. Finally decided to bite the bullet, and sent them a message, getting an almost instant response. They were able to get it done and tweaked and now I can join the 21st century with a full-featured stereo. Spectacular customer service - 5, especially post-sale, to get the audio settings right. I'll be taking my car(s) here for any installs in the future." "Was able to get a last minute appointment for a Remote Car Starter install today and I'm very impressed with the quality of service and ease of getting in and out. Will certainly return for future needs !!" "Got a 2” lift done on my 2014 Jeep Grand Cherokee. Lift was done in a day without any issues plus had my tie rods greased in the process. Great job done." "Jesse and his crew are fantastic!! They took work that was done incorrectly from another shop and made my 88 Vette stereo sound absolutely incredible!! Will definitely recommend!!" "Very fast, very knowledgeable, very affordable and most important to me very friendly. Jesse thank you again for the quick solution to my clifford security system issue, I will DEFINITELY be back to have a new one installed ! Highly recommend!!!" Are you interested in adding a new navigation system to your vehicle, enhancing your bike with a new motorcycle audio system, or protecting your family with a home security alarm system? Then you've come to the right place. Capital Customs is your go-to source for mobile audio and video, home security, and much more in Albany and the nearby areas. We go above and beyond for all of our customers because we want to make sure you're outfitted with the finished product of your dreams. Boasting cutting-edge technology and state-of-the-art installations, we're the name to know in the Capital Region. Contact us today to learn more about your options!